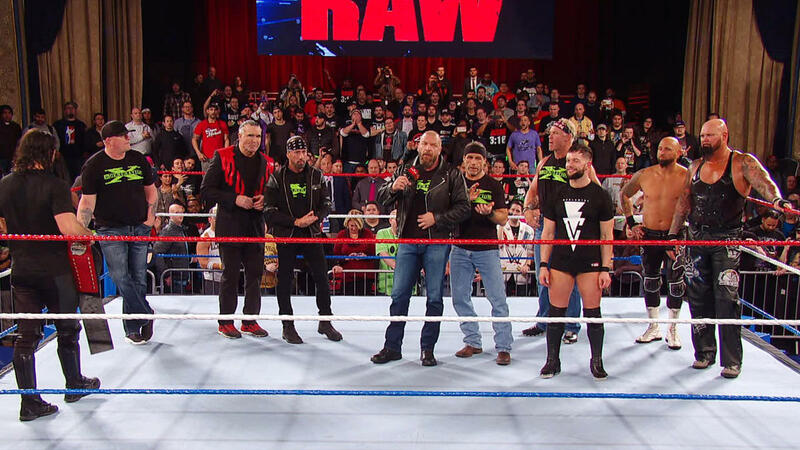 There were plenty of big WWE rumors leading up to the Raw 25 anniversary special on Monday night, and now there’s some speculation about why one of the biggest names in wrestling was absent. Among the superstars who made appearances to help celebrate the 25 years of the show were “The Million Dollar Man” Ted Dibiase, Razor Ramon, Shawn Michaels, “Stone Cold” Steve Austin, Sean “X-Pac” Waltman, and Vince McMahon himself. However, one of the popular superstars of yesterday who helped launch the original Raw was not there. According to Mike Johnson of PWInsider, Bret “The Hitman” Hart was not part of the lineup of stars who appeared on the anniversary show, and it was due to medical reasons. There was backstage news that Hart had a “follow-up” medical exam for his hand. Hart had previously had surgery on his wrist which has led to him having complications with the hand he had checked out yesterday. Unfortunately, that medical appointment fell on the same day as a big celebration show for the WWE and its history. Based on the report, it wasn’t possible for Hart to attend the appointment and travel to New York for Raw on the same day. Despite missing the show, he sent out an image to celebrate the anniversary on his Instagram account (below). The WWE had featured Bret Hart on some of their original advertisements for the big episode but never officially said he’d be a part of it, Popculture reported. Hart was the reigning WWF Champion back when WWE’s Monday Night Raw first debuted in 1993 and he participated in a notable feud with Jerry “The King” Lawler, so it’s unfortunate he couldn’t attend. However, he was not the only one missing from the lineup, which led to some disappointment from fans on social media. Also absent were big names such as Rey Mysterio, Lita, and Dwayne “The Rock” Johnson. However, the WWE brought in some former fan favorites such as Montell Vontavious Porter (MVP), Ron Simmons, JBL, Teddy Long, The Godfather, Trish Stratus, Terri Runnels, Michelle McCool, and The Undertaker. While Hart was missed as part of the celebration of Raw 25, most fans probably understand that the priority is his medical issues.